takes place this weekend at Devendorf Park in Carmel-by-the-Sea. This four-day festival will be full of gallery events, lectures, receptions, live musical performances, demonstrations at 43 art galleries and the Plein Air Painting Competition. The Plein Air Competition will begin Thursday; artists will be out and about in Monterey County capturing local scenery by pastel, water color and oils. Now is your chance to buy your own original piece of artwork! Paintings from the Plein Air Competition and the "Quick Draw" Competition will be on display and for sale on Saturday and Sunday. Devendorf Park, Carmel-by-the-Sea. Free admission. Come on down to the Salinas Valley Fair and enjoy this old-fashioned fair complete with a carnival, bull riding, 4-H exhibits, live music and much more! The theme this year is “Harvesting our Heritage,” and will include live performances from Gloriana, Curtis and Luckey and the Lost Boys. 11am-10pm, King City. $8 for adults, $6 for youth (ages 6-17) and free for seniors and children under 5. The circus is coming to town! The American Crown Circus & Circo Osorio will be on at the Monterey County Fairgrounds Friday-Monday performing two shows a night at 5:30pm and 7:30pm. Bring the entire family to experience the thrill of the high flying fliers, wire walkers, motorcycle riders of the Globe of Death and don’t forget the circus clowns! 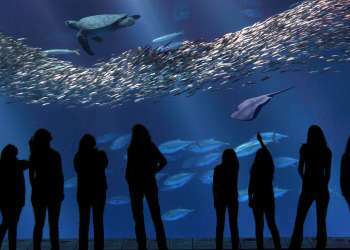 $16 for adults (12 and older), two children are admitted free per every paying adult. Sarah Ruhl’s Eurydice will hit Circle Theatre this weekend in Carmel-by-the-Sea. The play takes a modern twist on the Greek myth of Orpheus. The story takes newlywed Eurydice to Hades where she is reunited with her father. Find out whether or not she chooses to stay in the Underworld or return to the land of the living! Previews will be held on Friday at 7:30pm and Saturday at 2pm. The show will officially open on Saturday at 7:30pm and on Sunday at 2pm. Monte Verde St. and 8th, Carmel-by-the-Sea. Tickets range $7-$35. Big Sur’s 3rd annual camping and music event, Hipnic III, will take place this Friday and Saturday. The Campground Stage and Tavern Stage (upstairs) at Fernwood Resort will be packed with entertainment from artists including the Mother Hips, Nicki Bluhm, Sean Hayes, Big Eagle, Sea of Bees, Sweet Chariot and many more! 47200 Highway 1, Big Sur. Tickets are available for Friday and Saturday without camping passes. The Sunset Center in Carmel-by-the-Sea will host a free flower show all weekend long! Visions 2011: California on the Cutting Edge holds a nationally judged competition in flower arrangement, horticulture, photography, conservation and educational exhibits. Lectures are also available with an outstanding lineup of speakers including Charlotte Moss, Rick Darke and Marie-Francoise Déprez. 10am-4pm, San Carlos Street at Ninth Avenue, Carmel-by-the-Sea. Free admission. Take a seat and wind down with the Dino Vera & Tamas Marius Duo tonight at Santa Lucia Café. The duo will perform jazz and R&B with keys and saxophone in hand. 7pm-10pm, 484 Washington Street, Monterey. No cover. Indie rock band Royal Bear will play tonight at Jose’s Underground Lounge. Their original and catchy lyrics are sure to be a crowd pleaser. 8pm, 638 Wave St., Monterey. Blind Pass will play a gig tonight on the patio at Bullwacker’s! Gear up to hear them play all the great covers from artists including Sublime, Weezer, Nirvana, Red Hot Chili Peppers and the Foo Fighters. 8:30pm, 653 Cannery Row, Monterey. No cover. Relax tonight at London Bridge Pub with Rex Wheeler. Rex will play what he is most known for, electric acoustic. 9pm, 256 Figueroa St., Wharf #2, Monterey. No cover. The Quail Motorcycle Gathering is going on today at Quail Lodge in Carmel! This year’s theme is "A Century of Racing at Isle of Man" which will showcase the finest motorcycles from the past, present and future. There will be a spectacular display of classic sports and racing bikes lined up on the pristine lawn of the driving range at Quail Lodge Resort & Golf Club. The event will also have live entertainment and a fantastic BBQ lunch made with local ingredients. 10:30am-3pm, 8205 Valley Greens Dr, Carmel. Tickets are $65 per person and $15 for children (ages 12 and under). Tickets include admission to the event and lunch. Who doesn’t like a good Frank Sinatra cover? Come fly away at Santa Lucia Café tonight as they host the John Michael Duo who will play a tribute to the great Frank Sinatra. 7pm-10pm, 484 Washington Street, Monterey. No cover. Don’t miss an eventful night at Henry Miller Library in Big Sur! The night will begin and end with a musical performance from the Gabe Rosenn Band with guest Big John Hurt. Between performances, the night will feature a movie screening of Hot Tubs followed by a Q&A from the movie’s director, Gabe Rosenn. The film is a warm-hearted look at the hot tub scene in Santa Barbara during the &apos;70s. 7:30pm-11pm, Highway 1, Big Sur. Tickets are $15 in advance and $20 at the door. The Carmel Mission Basilica will be the stage for The Ensemble Monterey Chamber Orchestra and Cantiamo! tonight. The concert will feature George Frideric Handel’s Dixit Dominus and Concerto Grosso in B flat Major. Conductor Dr. John Anderson will also give an “Insights from the Conductor” lecture at 7:30pm, before the concert. 8:30pm, 3080 Rio Road, Carmel-by-the-Sea. $25 for adults and $20 for seniors and students. Local favorites, Cheeky Spanks will get the party started tonight at Bullwacker’s! Step back in time with Jill Childers, John Sherry, Jimmy Rossi and Kirk Edwards as they cover popular jams from the ‘50s, ‘60s, ‘70s and more! 8:30pm, 653 Cannery Row, Monterey. No cover. Get ready to rock out at Jose’s Underground Lounge! Psychedelic rock band the Flaming Telepaths will perform tonight. 9pm, 638 Wave St., Monterey. Local singer-songwriter duo Trusting Lucy will perform tonight at London Bridge Pub! Witness Linda and Lisa’s incredible harmony and on-stage energy. 9:30pm, 256 Figueroa St., Wharf #2, Monterey. No cover. Join the Del Monte Farmers’ Market today for their opening festivities! The event will include complimentary coffee and cake from Whole Foods, live music and a Zumba demonstration! 8am-12pm, Del Monte Center, 1410 Del Monte Center, Monterey. Free admission. 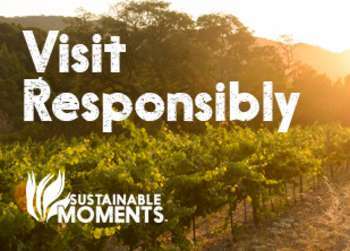 Head out to Kahn Ranch with the Monterey Peninsula Regional Park District this morning. Kahn Ranch is tucked in the southeastern section of Garland Ranch Park. Hikers will enjoy breathtaking views of a waterfall and be surrounded by spring flowers. The hike is 3.7 miles and is expected to take 2-3 hours. Be sure to bring water, snacks, lunch and good hiking shoes. 9:30am, Kahn Ranch parking lot, Carmel. Call 831-659-6065 to reserve. Step back in time and enjoy Monterey’s historic treasures and beautiful springtime gardens. This special docent-guided Monterey House & Garden Tour will take visitors to eight different historic homes and gardens. 11am-4pm, Monterey Public Library, 625 Pacific St., Monterey. Tickets are $25 (cash or check only) and are available at the Monterey Public Library, (831) 646-5601. 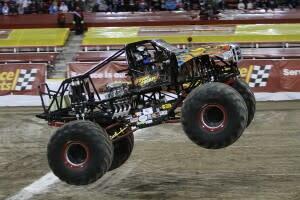 Bring the family to Monster Truck Jam today at Salinas&apos; Sports Complex! There will be plenty of entertainment as well as several food and souvenir vendors! 12pm-5pm. 1034 N. Main St., Salinas. Tickets start at $20.